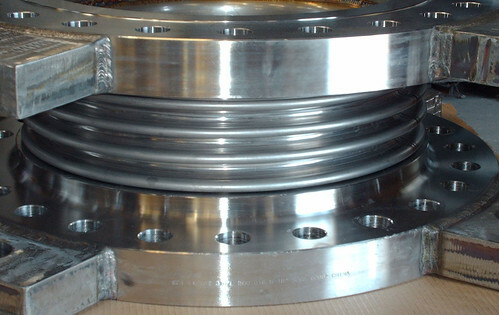 These expansion joints measure 18″ in diameter x 11″ in overall length. 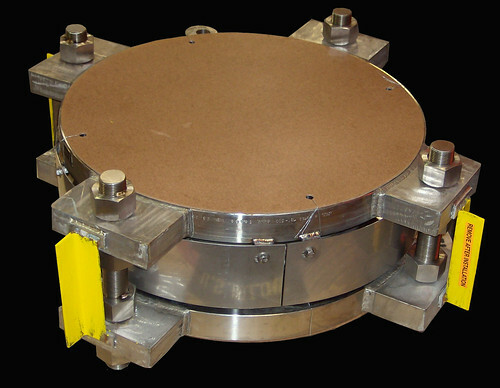 Each expansion joint is fabricated with 300 lb. 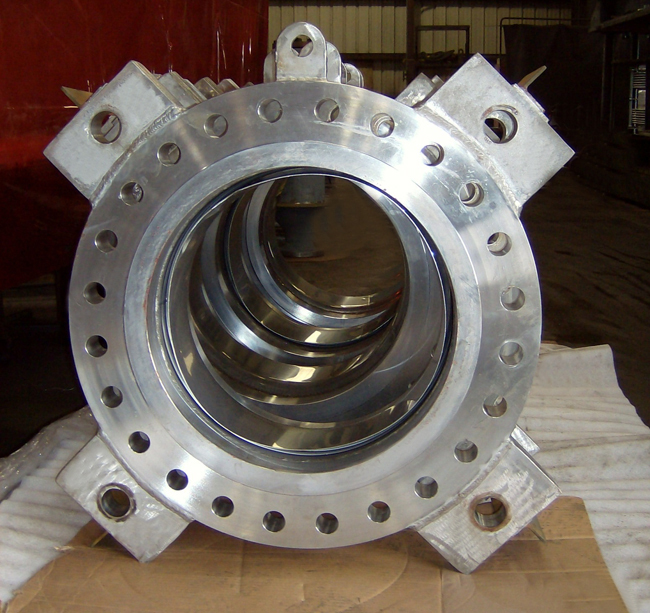 stainless steel raised face slip on flanges. The liner, cover, and tie-rods are fabricated from 316L stainless steel. The design pressure is 403 PSI, and the design temperature is 200°F. Dye-penetrant tests, hydro-tests at 604 PSIG, and 100% x-ray tests of the bellows’ longitudinal weld seams were performed to assure quality.